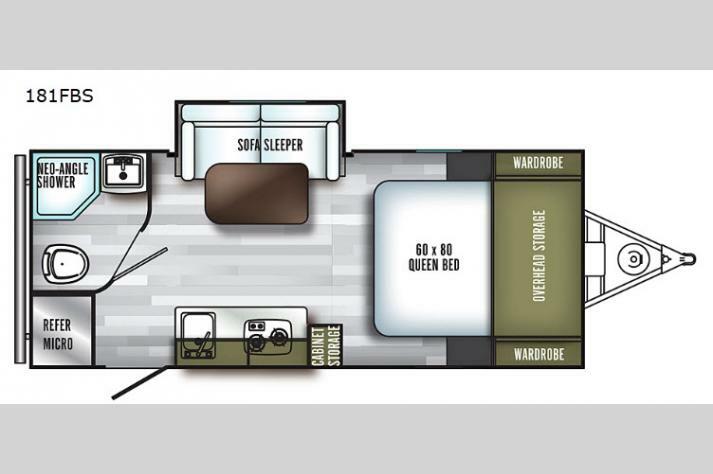 You can feel confident traveling in this PaloMini travel trailer because of the affordably-priced and high-quality amenities it provides. 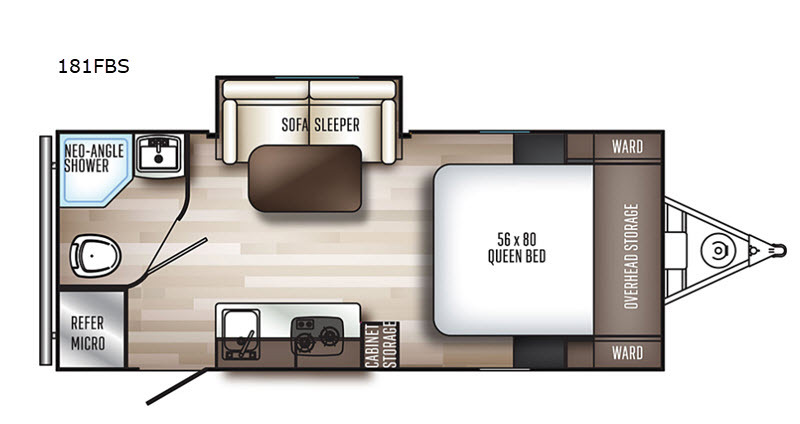 The included sofa sleeper and queen bed allow you to sleep four people comfortably, and the two-burner cooktop and microwave in the kitchen give you the feeling that you're at home in your own kitchen. 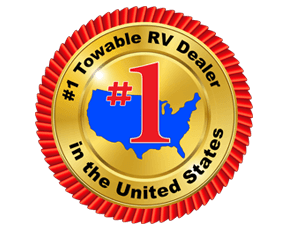 This trailer even includes a laminated, walkable roof for you to use when the top of your trailer needs cleaning or fixing. 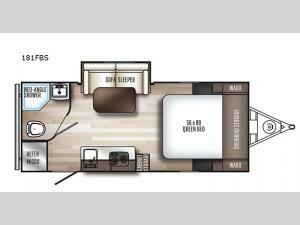 You could not ask for better quality in a travel trailer that what you receive with the Palomino PaloMini. 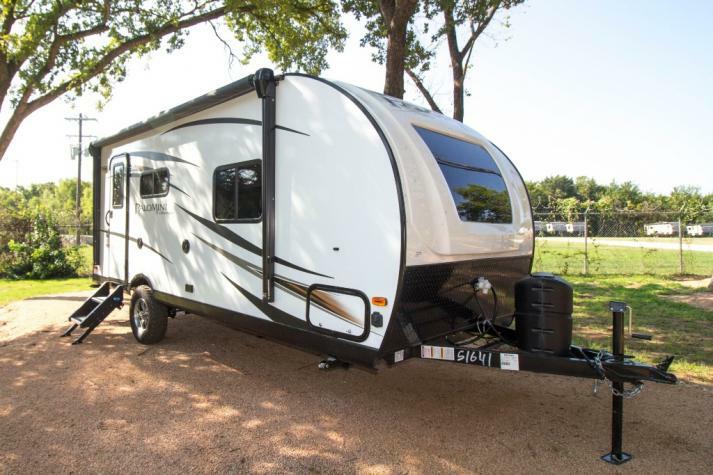 The PaloMini gives you functional elegance throughout each aspect of its construction, and that lightweight construction is what gives it a better fuel efficiency than many others. Each unit features hardwood, hand-glazed cabinets, a pillowtop memory foam mattress, ball bearing drawer guides, and interior LED lighting. Outside, you will enjoy a power awning with an LED light, so you can stay outdoors longer and visit with friends and family.